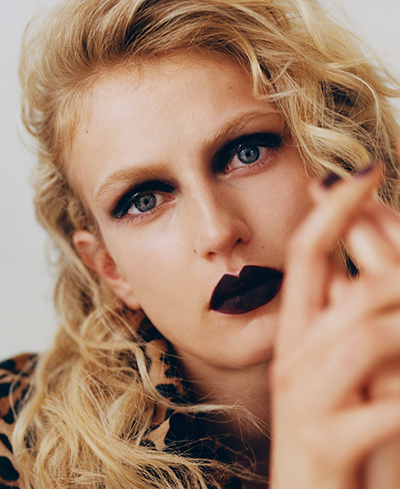 Forget everything you’ve been told about wearing a dark eye or a dark lip. The rule that used to apply to colour does not apply to neutral tones such as browns or blacks. 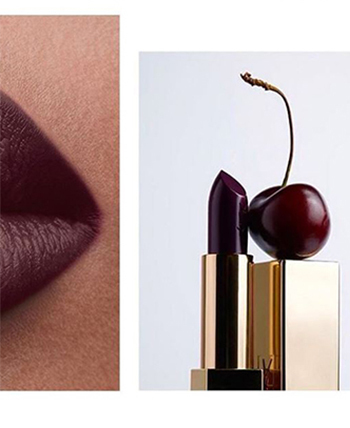 The look is modern, strong yet the interest comes from the contrast of texture between the eye and the lip. 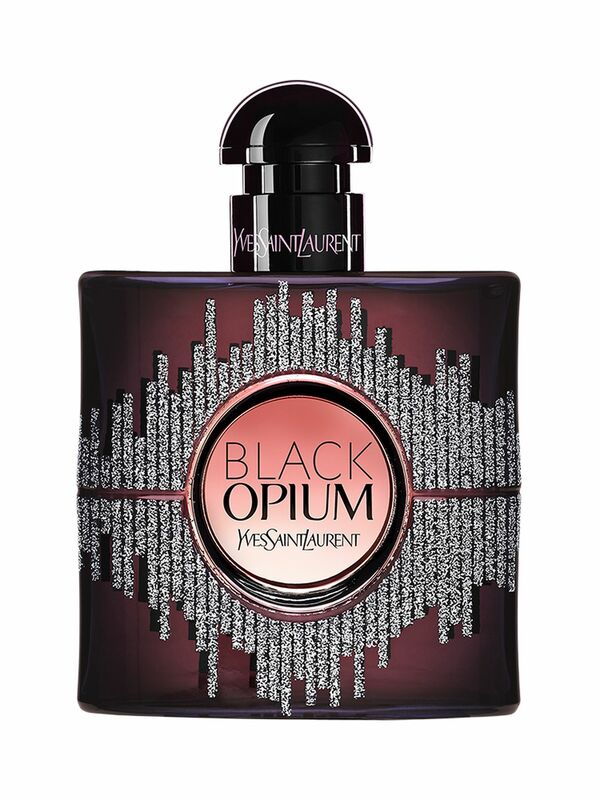 Summon your inner provocateur by combining the two. Leave the under eye area bare to balance the look and keep it fresh. 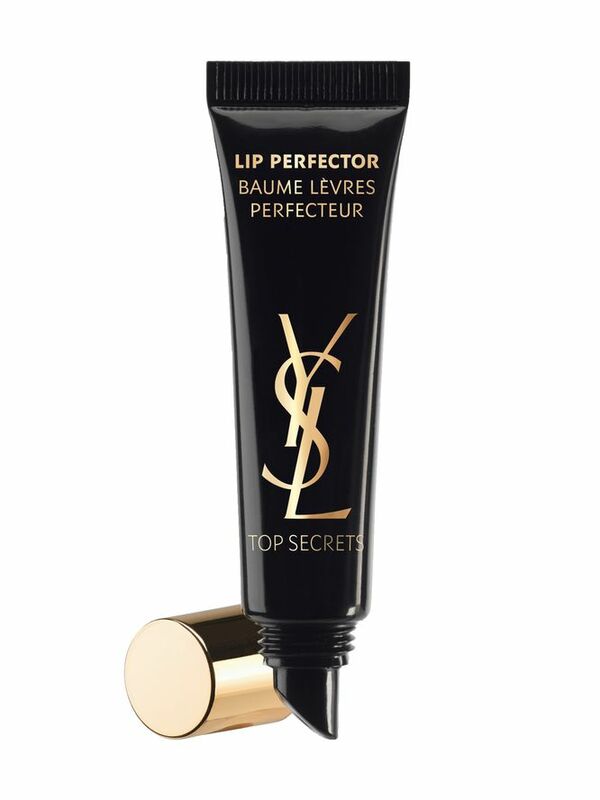 Using a matte finish for lips and gloss for eyes ensures the colour doesn’t fall flat. 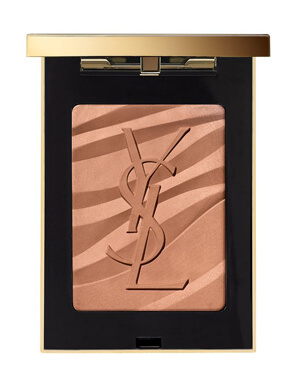 Make up by Bae Sweet with quotes from YSL European Make Up Artist, Fred Letailleur. Nina started the eye using Kajal Eye Pencil in 1 as a base for the eyes, focusing the colour on the upper part of the lid. She followed using Couture Mono Eyeshadow 10 Khol to reinforce the intensity of the black, using a soft eyeshadow blending brush to subtly soften the upper outline of the eye. 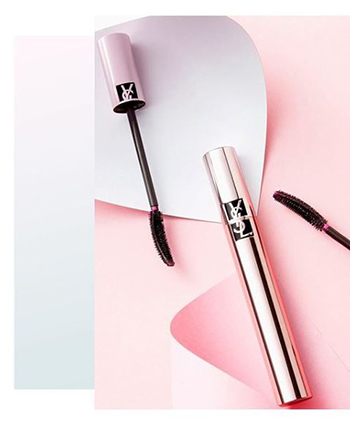 Define and curl the lashes with False Lash Effect Mascara The Curler in 1 Rebellious Black applied both on the upper and lower lash. Nina enhanced the brows with the Couture Brow Slim in 3 Brun Naturel for an ultra sharp result, focusing with upwards strokes on the inner brow while following the natural contour of the brow from the inner third outwards. 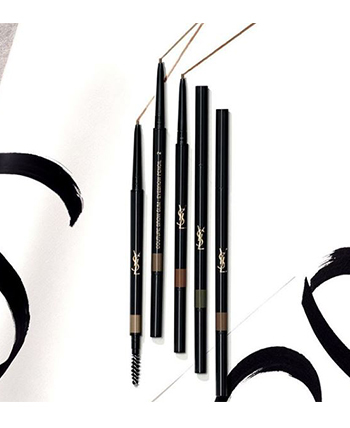 Uplift the lower outline of the brow using Touche Éclat Illuminating Pen underneath the eyebrow shape to add more glamour and polish to the brow shape. Finally, Nina created the ultimate vampy lip starting with a Dessin des levres Lip Styler 24 Gradation Black, followed by a layer of Rouge Pur Couture N˚222 Black Red Code. Again, accentuate the cupid’s bow in a pointier finish to add more glamour to the final result.